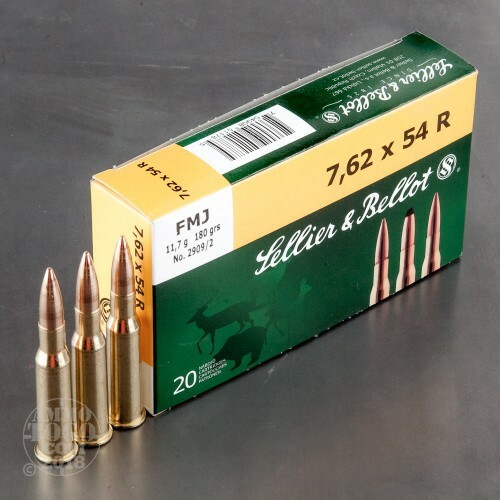 This package contains 20 rounds of Sellier & Bellot 7.62x54R ammunition. 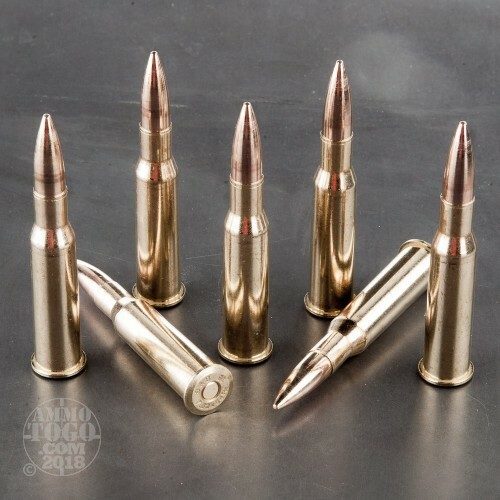 Each cartridge is loaded with an 80 grain full metal jacket (FMJ) projectile. These high-quality bullets feature a fully-jacketed lead core. Due to the rigid design of the metallic jacket, the projectile does not expand upon target impact, creating a smooth bullet hole in both organic tissue and paper targets. 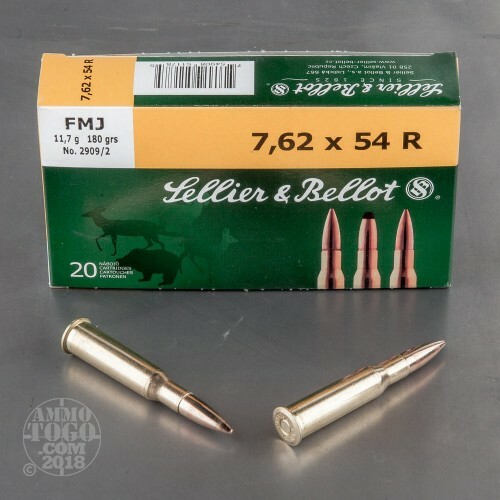 Located in the Czech Republic, Sellier & Bellot has been producing high-performance, dependable ammunition since 1825. 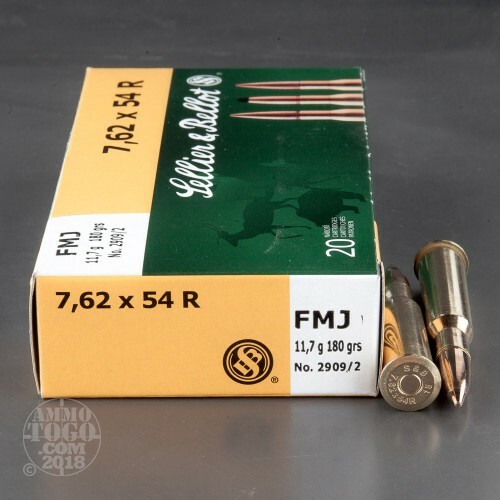 This ammunition is factory fresh, non-corrosive, boxer primed, and features fully reloadable brass cases. Each round produces a consistent muzzle velocity of 2579 feet per second and a muzzle energy of 2659 foot pounds.